It's time for Tombstone Tuesday! I went to my awesome friend Jacque again to choose which family member I would focus on this week. Her pick for this week? 756. 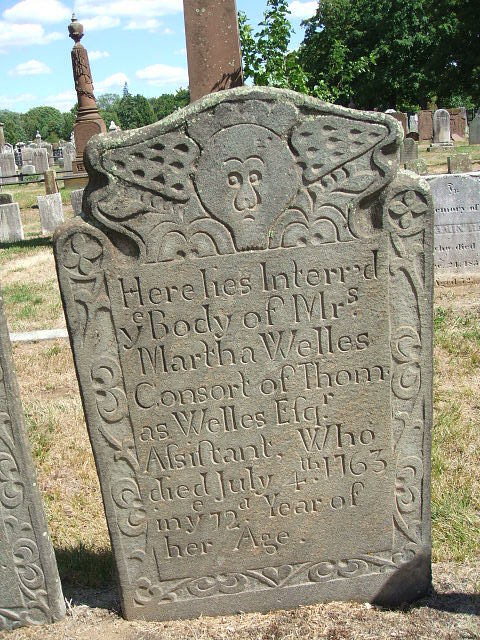 Martha Pitkin Welles, my husband's 8X Great Grandmother. She is actually the mother of one of the Patriots in the Revolutionary War, William Welles. I haven't completed proven that line but it is currently in process. Martha and Thomas were married in 1715 in Hartford, CT. 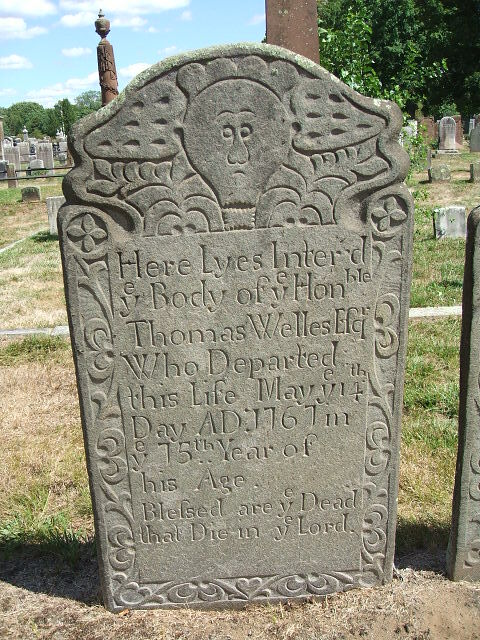 Together they had 10 children; Ruth, Mary, Thomas, Elizabeth, William, Martha, Elizabeth, Sarah, John, and William, my husband's 7x Great Grandfather.